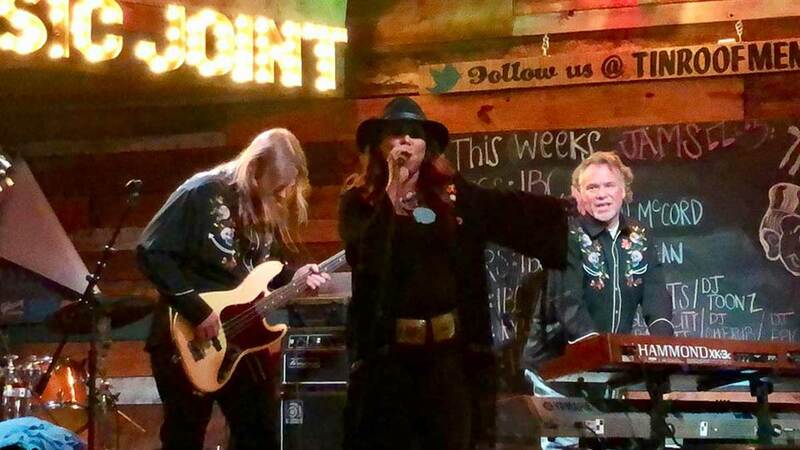 SAN ANGELO, TX — Last May, San Angelo blues band Boogie Town won the Simply Blues Festival, the all-day block party and concert on S. Oakes St. near the local blues landmark, the former Sealy Flats. 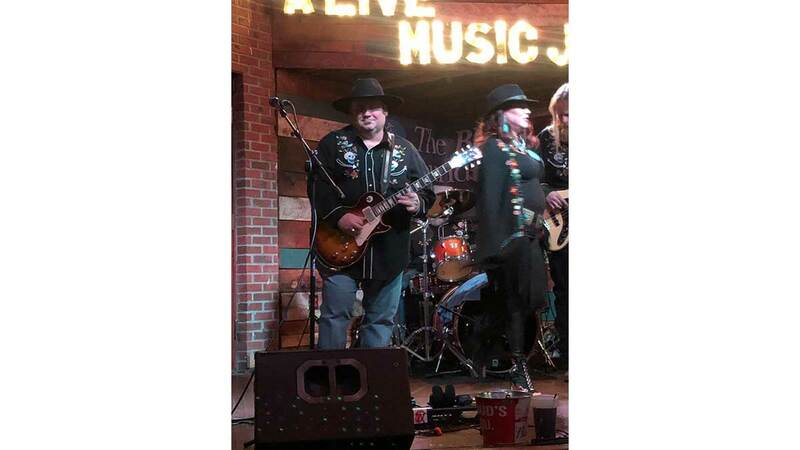 The winner of the San Angelo concert this year was given an entry by the San Angelo Blues Society into the International Blues Challenge in Memphis that was held last week. Boogie Town performed two evenings at clubs on iconic Beale Street. Winners were chosen from bands that performed in multiple clubs to enter the semi-finals. Boogie Town sounded great, McLaughlin said, but they didn’t advance with their live performances. Not all was lost, however. Boogie Town did advance to the semi-finals in a separate competition with their first studio-recorded album, Resting Blues Face. The entry of the album into the “self-produced CD” contest was also sponsored by the San Angelo Blues Society, and this was the first year a “Made in San Angelo” blues album was submitted in the international contest. The record truly is a Made in San Angelo effort. Performing on the record were the same local musicians who perform live: Kristi Hollowell, vocals; Kevin Collins, keys and guitar; Bill Edgar, bass; Stephen McLaughlin, guitar, and Paul Schroeder on drums. Nashville recording session veteran Gary Laney, a San Angelo native and resident, recorded, mixed and co-produced the record. McLaughlin said they were one among 25 semifinalists selected in the CD competition. He wrote or co-wrote all of the 11 original songs on the record. His favorite song is “Bad Upsettin’ Momma.” McLaughin said the tune had a twist on traditional blues lyrics. “The mystical blues hero in the lyrics is a woman not a man. That’s kinda different,” he said. Blues lyrics typically have a mystical male hero, McLaughlin said. McLaughlin plays lead guitar for Boogle Town. He said only one of their original tunes is in the traditional blues key of E. He said his technique is to play the major or minor scale notes atop the traditional five-note blues pentatonic notes. There are also the “blue” notes, McLaughlin said. In the case of the A major scale, the D# is a blue note, he said. “People who rarely listen to the blues may not know how much is going on musically,” he said. “It was important for us that we write a blues album that people who don’t think they like the blues music will enjoy. Once it was done, we weren’t sure what the Memphis blues judges would think about it, because it’s very much a ‘Texas’ kind of blues-rock sounding record. So we are very proud it did so well. The competing albums were just incredible,” McLaughlin said. The overall winner of the CD contest was titled Lock Up The Liquor by The Little Red Rooster Band. That band was sponsored by the Central Delaware Blues Society. 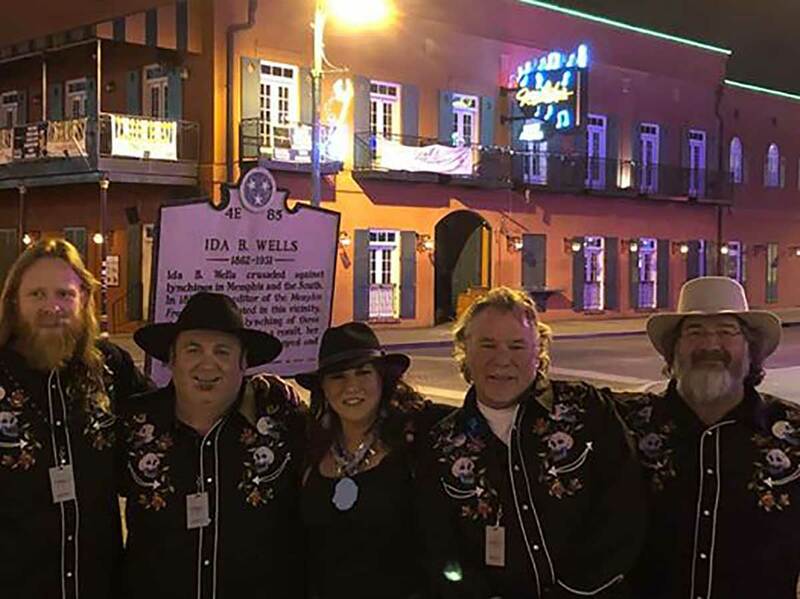 The six-day International Blues Festival in Memphis was held Jan. 24 – 26. The band returned to San Angelo on Sunday. “The musicianship there was top notch,” McLaughlin said. He added that the atmosphere was wonderful because even though the musicians were competing, everyone was supportive and that made it more fun. “It was an outstanding experience,” he said. That’s where Elvis and Johnny Cash were discovered. To listen to samples of Boogie Town’s record Resting Blues Face, hear it on iTunes or on Amazon. To purchase, visit their website at RestingBluesFace.com.